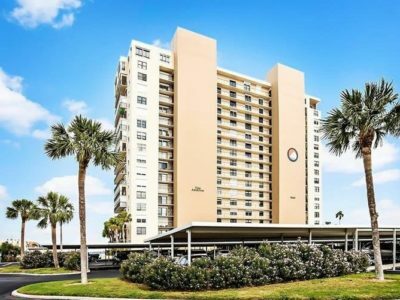 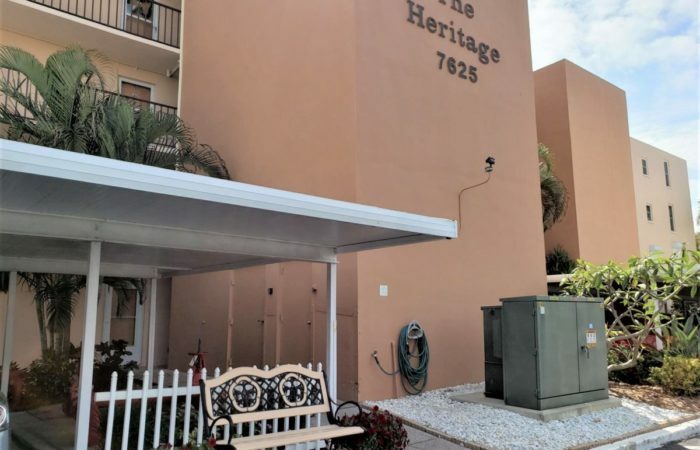 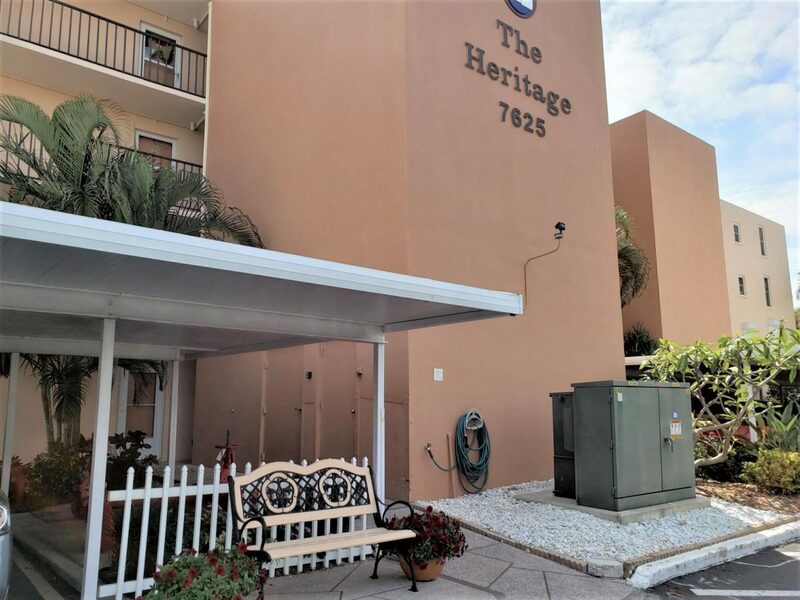 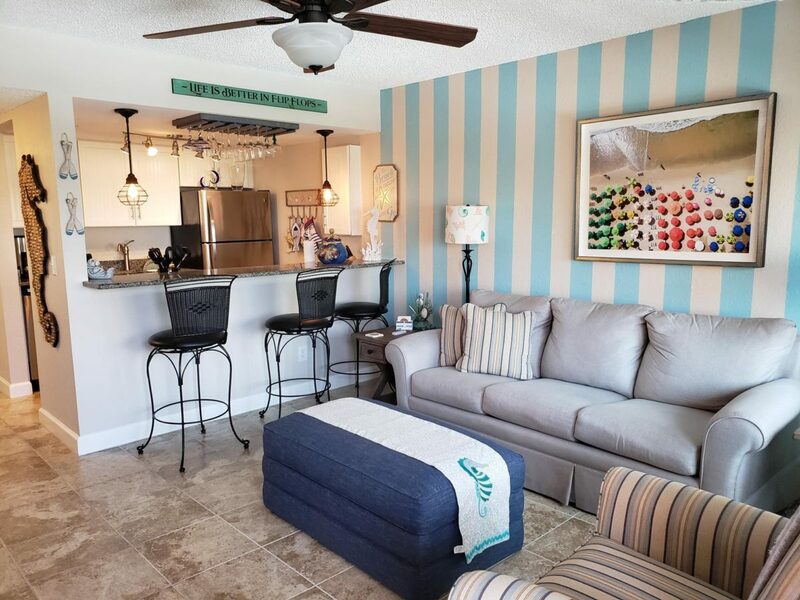 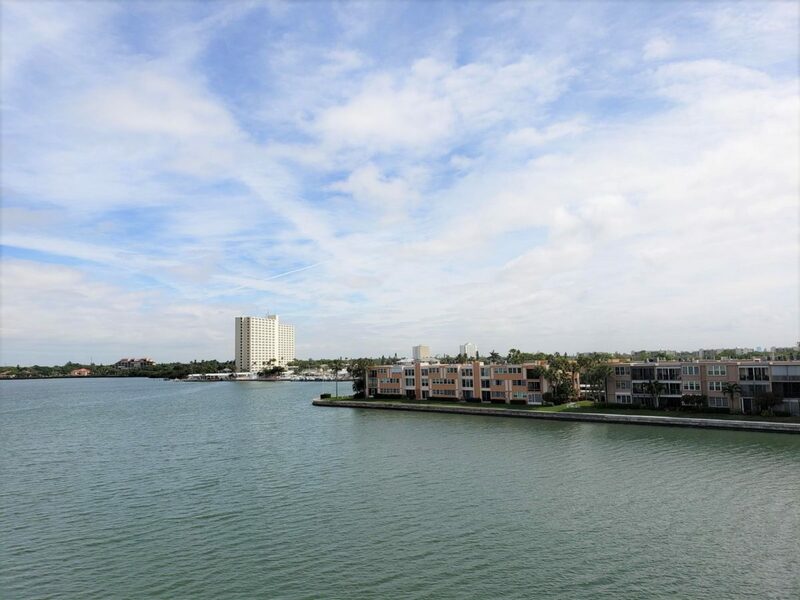 55 plus gated community with 24-hour guard house – Beautifully furnished updated turn key condo on the top floor of the waterfront Heritage building at the Bay Island Condos. 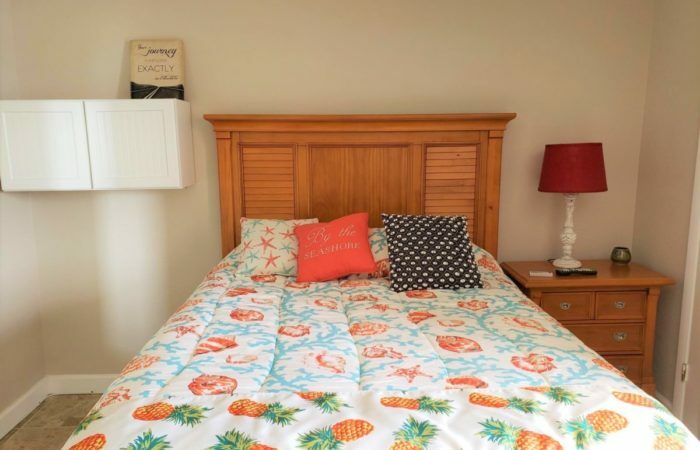 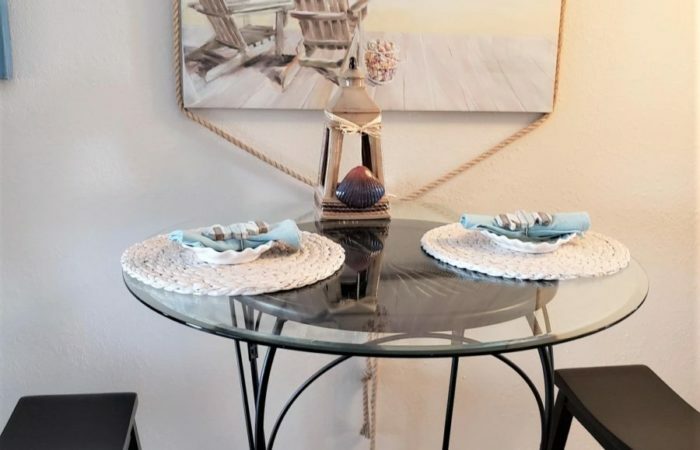 This 1 bedroom – 1 bath is light and bright and comes fully furnished with all the amenities you need to simply move in. 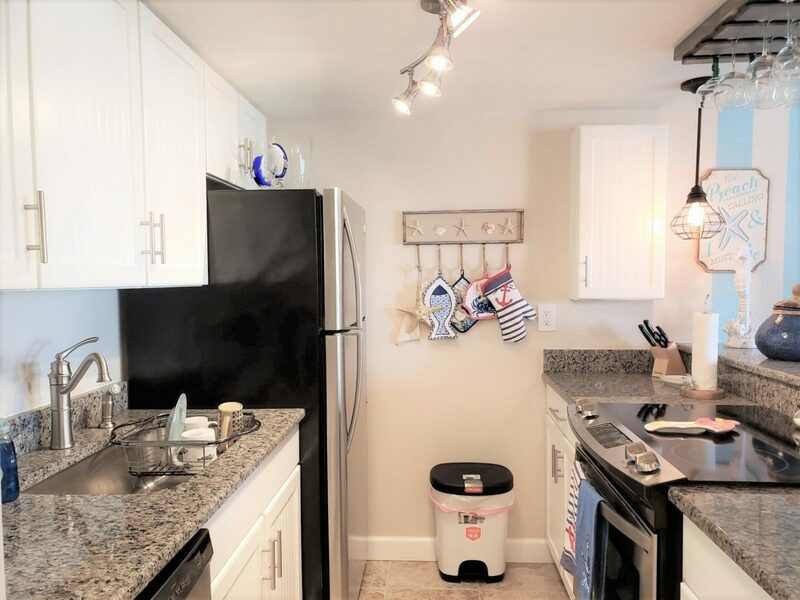 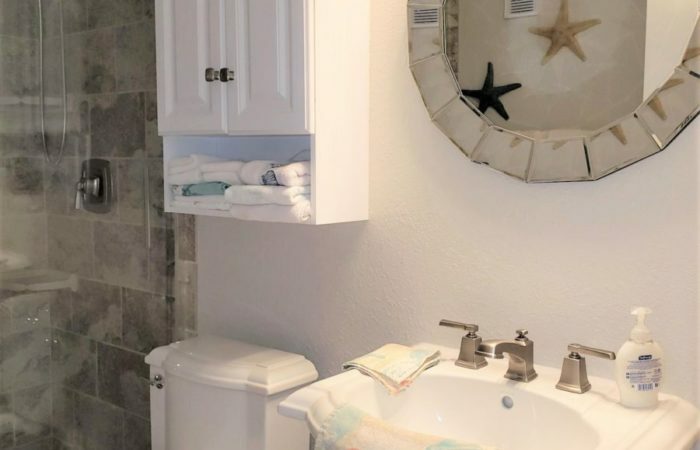 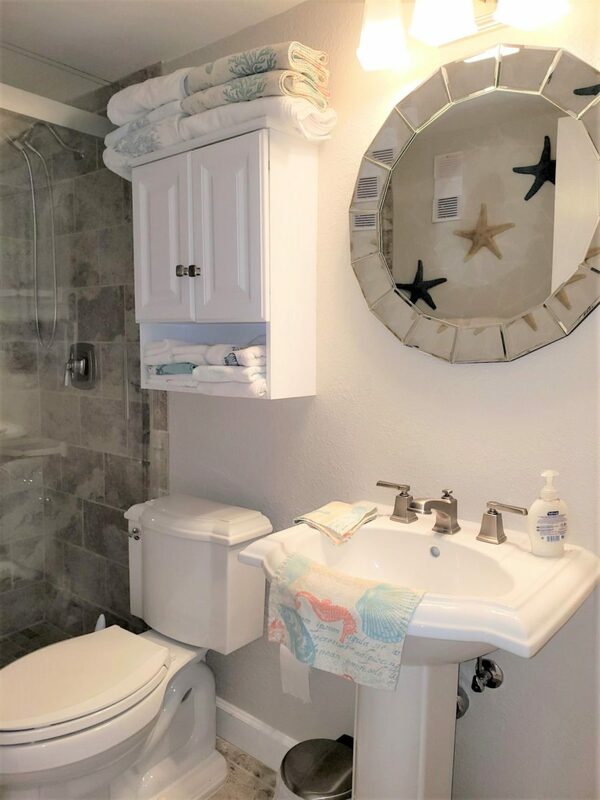 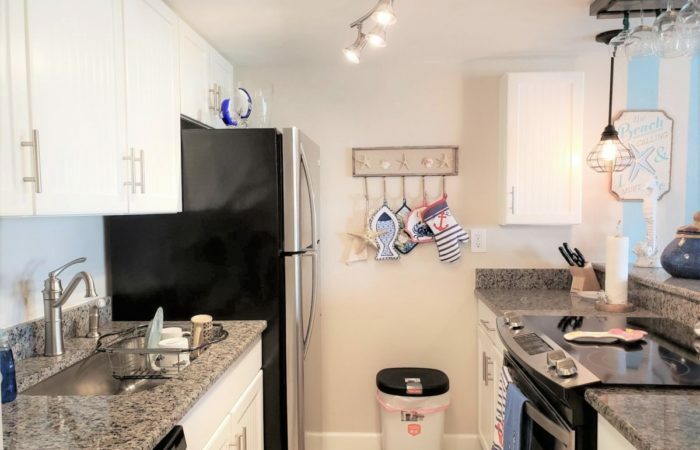 Ceramic tile thru out, an updated kitchen with a pass-through breakfast bar, self-closing wood cabinets, granite counters and stainless-steel appliances including a dishwasher. 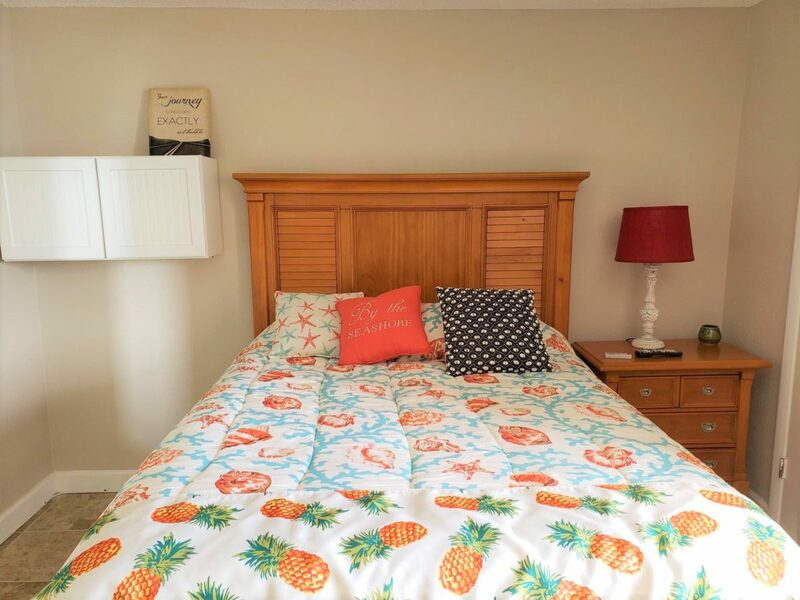 The bedroom has a walk-in closet, queen size bed, lots of dresser / chest storage. 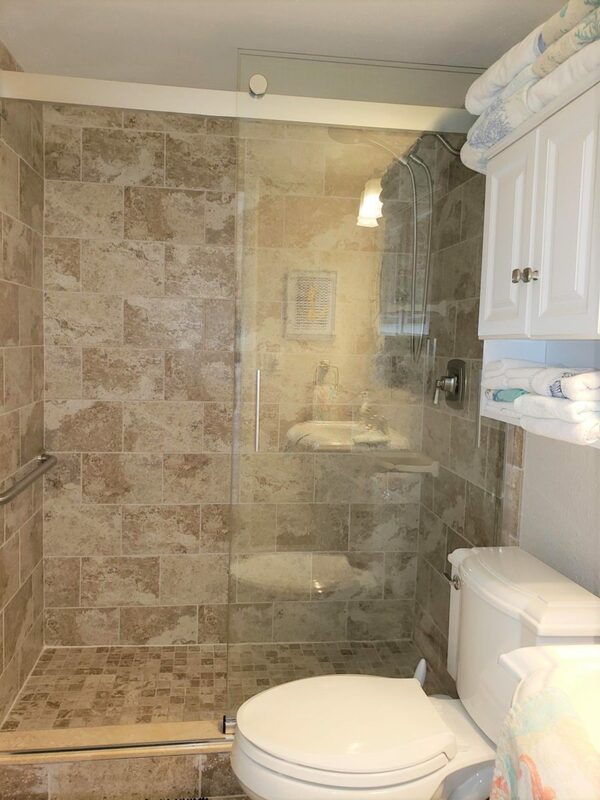 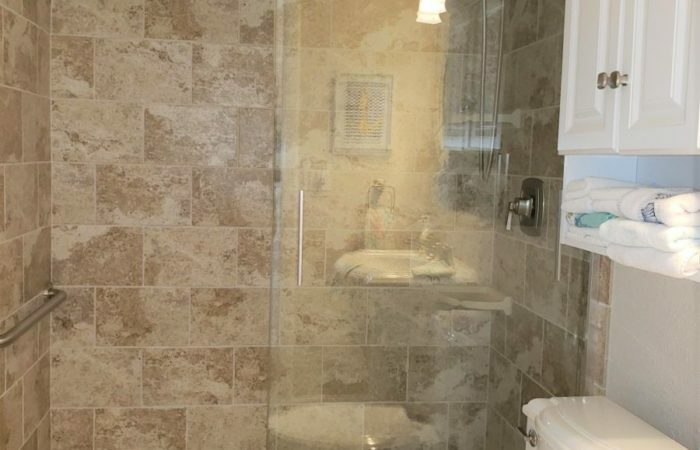 The updated bathroom includes a fully tiled shower with beautiful glass doors. 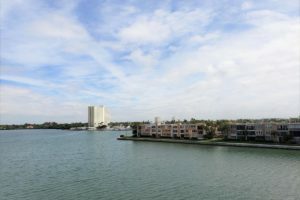 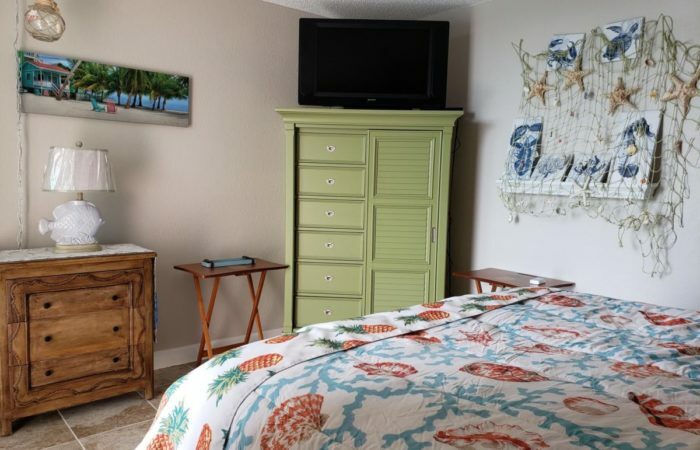 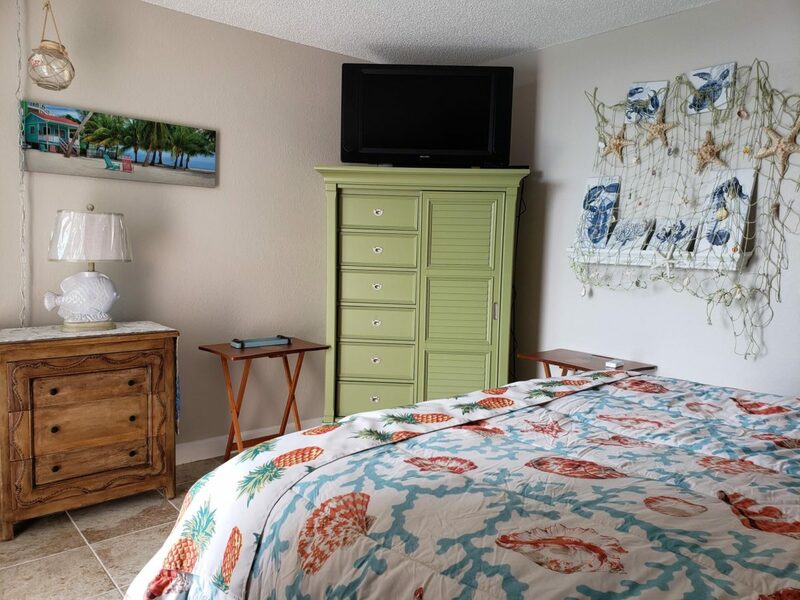 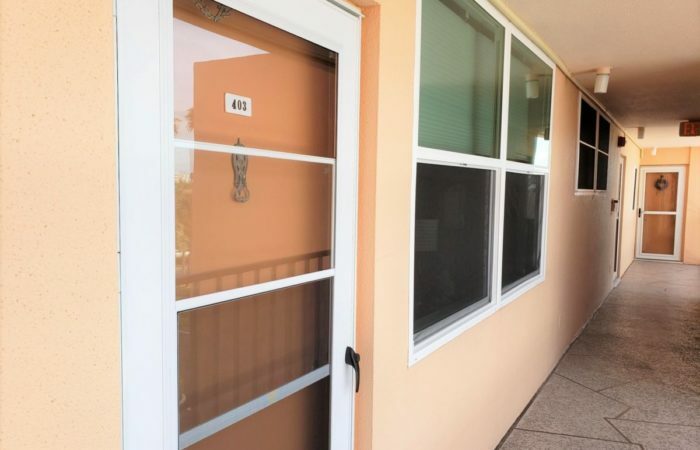 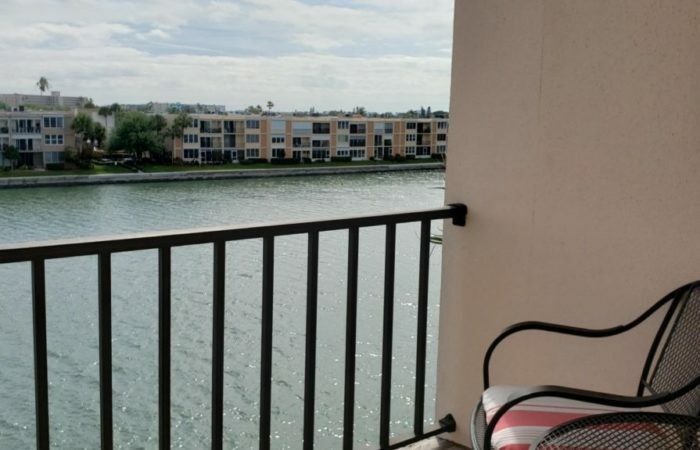 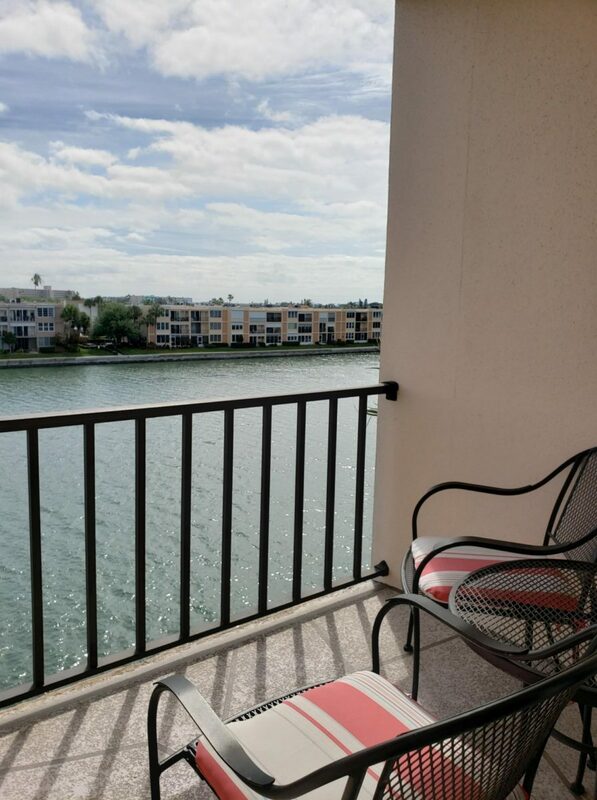 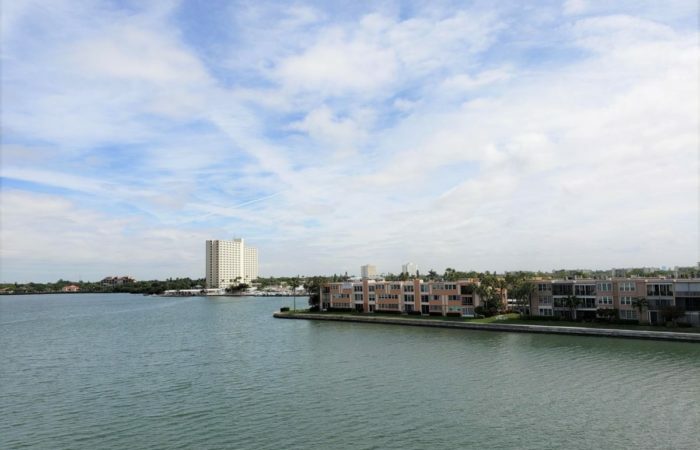 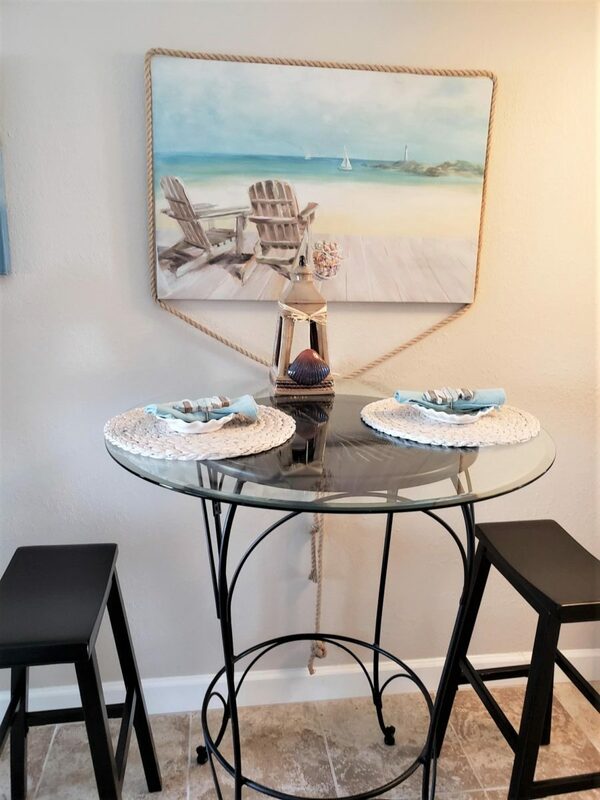 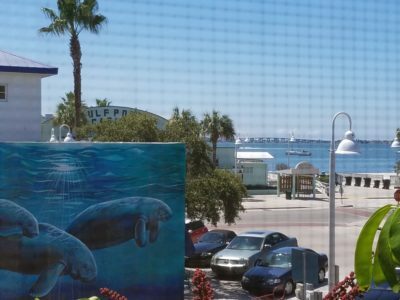 Boca Ciega Bay views from your bedroom, living room as well as the private balcony. 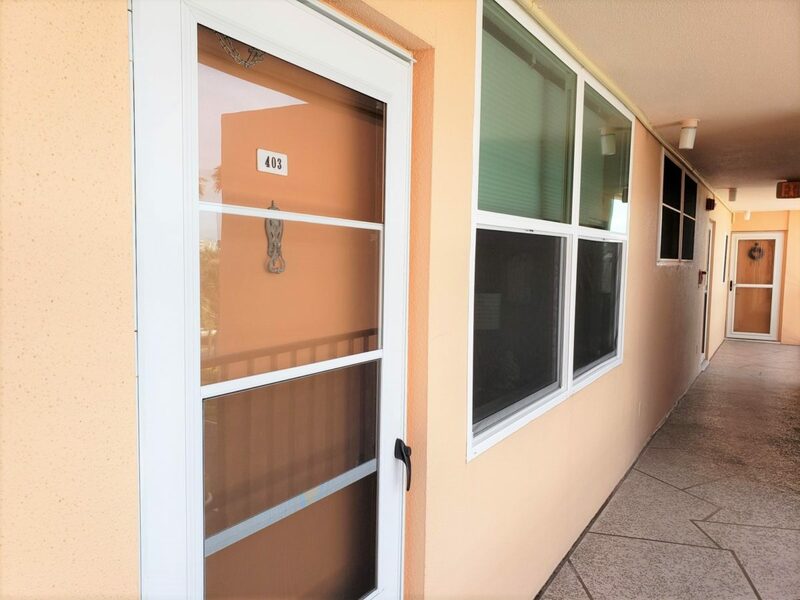 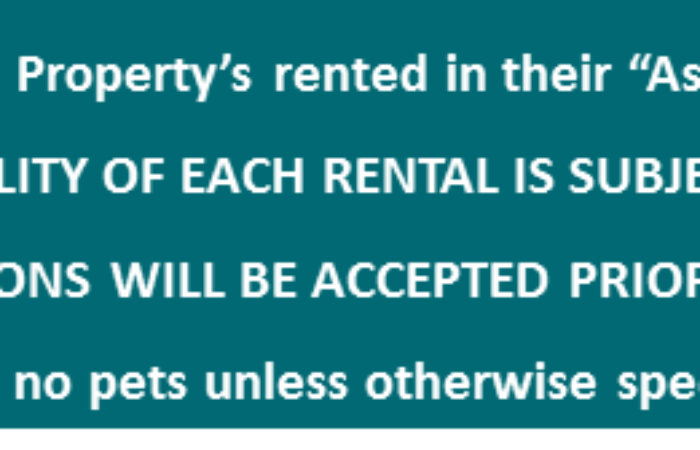 The unit also has high impact double pane windows & slider, and a front screened storm door to let in the bay breeze. 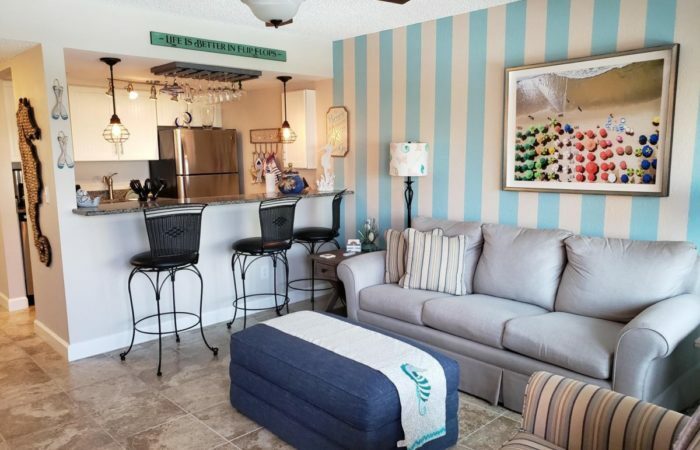 Included with this rental is a covered carport, outside storage locker, laundry room just outside the front door by the elevator, access to 6 heated pools, a newly renovated clubhouse with cards, crafts, library, billiards, fitness gym and sauna, 1.5-mile walking path around the island with mostly water views, BBQ/Tiki hut picnic area and tennis courts.